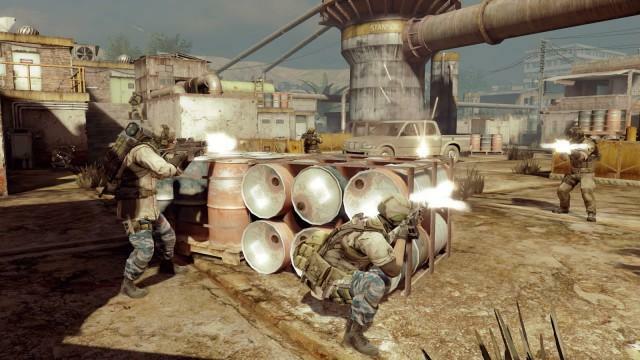 Ubisoft’s long-awaited Ghost Recon: Future Soldier hit stores this week. It is, by all accounts, an excellent game. The technical execution is as close to perfect as a third-person shooter can get and the array of futuretech toys that you’re given to play with would make Batman jealous. The story could be better and some front-end design choices remain questionable, but overall this is a stellar game that is well worth your time. Don’t take my word for it; just check out Ryan’s Ghost Recon: Future Soldier review. In addition to the story-focused campaign and the Horde-like Guerilla Mode, Future Soldier features an elaborate, class-based multiplayer mode that is built on the foundations of multi-role play and persistent progression. This is more Battlefield than Call of Duty in the sense that it’s possible for you to arrive in the engagement zone and lead your team in scoring without ever firing a shot. 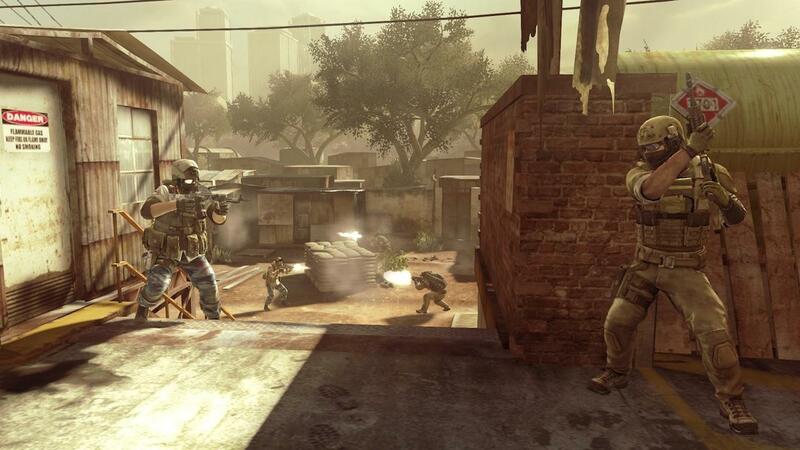 It’s as straightforward on the surface as any other shooter’s multiplayer component, but there are plenty of nuances within that basic structure. Read on for a few tips that will help you gain an extra edge over the competition. What Kind of Future Soldier Are You? Serious-minded multiplayers will eventually invest time into all three of Future Soldier‘s classes, but starting out it’s best to pick one and stick with it for awhile. The Rifleman, Engineer, and Scout classes all offer a very different sort of experience. You may have a general sense of what each one is capable of, but learning how to make the best use of the assorted class-specific tech you have access to is a big part of the longer game. Partially because the really good stuff doesn’t unlock until the later levels of each class’s progression, but it mostly has to do with just getting a feel for how everything works. The Rifleman is probably the most beginner-friendly of the classes. This one falls into a straight-up combat role; you’ve got an assault rifle or light machine gun and explosive ordnance, and you use them to defend capture points and rack up a body count. The Scout is also pretty easy to get a handle on, though Future Soldier‘s beautifully responsive controls means that you’ll need to bring your A-game if you want to nail headshots from across the map. The Scout class comes equipped from the start with a variation on the campaign’s stealth camo. It activates when you’re crouched and motionless and it goes away when you move and/or fire. You can safely stand up while the camo is active and remain hidden, but any other sort of movement shatters the illusion. Scouts also have the option of equipping a submachine gun instead of a sniper rifle, great for stealthy players who like to get right up in the action. The Engineer class can equip shotguns and PDRs, which are slightly larger than SMGs but nowhere near as powerful or effective at range as a full-blown assault rifle. Your role on the battlefield in this class is mainly oriented around providing your team with recon and support. The Engineer can unlock a UAV drone once the class hits level 4, and you can use this to fly around the battlefield and provide intel for your brothers in arms. Unlike the campaign, you can’t actually mark enemies. In multiplayer, any members of the opposing team that your UAV can see also become visible in a red silhouette from anywhere on the map for all of your teammates. The trick to using the UAV effectively is to keep the one or more enemies locked in your field of view until a fellow team member can bring them down. Any recon-aided kill nets the Engineer some bonus points. The same goes for sensor grenades, available at the start and capable of revealing enemy locations inside the grenade’s “blast” bubble. Gunsmith is Future Soldier‘s highly detailed weapon customization tool. You can mix and match different parts for any of the weapons that you have unlocked, but only after you’ve spent Attachment Credits on the desired parts. Each class-specific level earned nets you one Attachment Credit for that class. All parts that aren’t unlocked by level progression cost one credit to purchase. Note that for all classes you’ve got two separate loadouts to worry about and two sets of Attachment Credits to spend, one apiece for the U.S. and Bodark factions. With the exception of sniper rifles, all players should put their top priority on snatching up a red dot sight or some other flavor of enhanced optic. Iron sights aiming in Future Soldier should be avoided whenever possible. After that, the kit you equip your weapon with depends largely on how you want to play. Several of the available options offer tradeoffs. So, for example, choosing the under-gassed gas system for your firearm might increase your control over the weapon, but at the cost of a lowered rate of fire. You’ll need to weigh your options carefully and consider how you plan to put the class to work for you. An Engineer will generally want to prioritize maneuverability whereas a Rifeleman will generally be more interested in having improved control. You can only spend attachment credits between matches and before you join a lobby, but you can actually tweak your loadouts mid-match with anything you’ve already unlocked. It’s not an immediately obvious feature, but you can get there by hitting start between spawns and then pressing the indicated button to access the loadout menu for whichever class you have highlighted. From there, it’s simply a matter of switching things up however you see fit and then spawning back into the match. Future Soldier‘s multiplayer mode is built entirely around four objective-based game modes, all of which depend heavily on players working together as a team. A number of systems are built into the game to support this. The Confidence System is actually a fancy name for a pretty standard concept in objective-based multiplayer. In short, whenever you have someone interacting with a capture point or the like and waiting while a meter fills up, that meter can be made to fill faster as other teammates gather around to offer support. The incentive to stick around is pretty simple: remain close enough to cut down on the interact time, and you’ll receive an XP award for your troubles. Simple! Separate from this is the Coordination System. At the most basic level, all players can easily mark a location in the environment by centering the crosshairs on it and pressing a shoulder button. Marked locations then show up on the entire team’s tactical map, which you can view at anytime by pressing Back/Select. It’s a simple feature, sure, but it’s also a clever way to get around having to use a headset. If your team understands how coordination markers work, verbal communication becomes less important. Pressing and holding the location marker button brings up a radial menu that allows you to choose any of your squadmates or the objective. 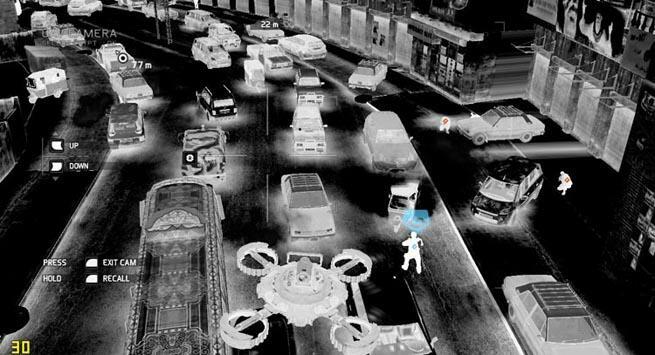 Once you’ve selected your desired target, a GPS overlay appears in the environment. From there, it’s a simple matter of following the line on the ground to hook up with your team members or get to the current objective. We’ve already covered the intel that Engineer classes can provide using their futuretech toys, but that’s not the only way to gather and share info on the enemy team. Equipping a less-lethal weapon such as a stun gun allows you to take down an enemy soldier without killing him. You can then approach the immobilized body and hack it (the same way you would interact with an objective point). Complete the hack without being interrupted — the enemy players know when and where one of their own is being hacked — and your entire team will be able to see the locations of all opposing team members for a limited time, sort of like a map-wide sensor grenade. There’s also the cover swap feature to aid you in speedily moving from one cover point to another. 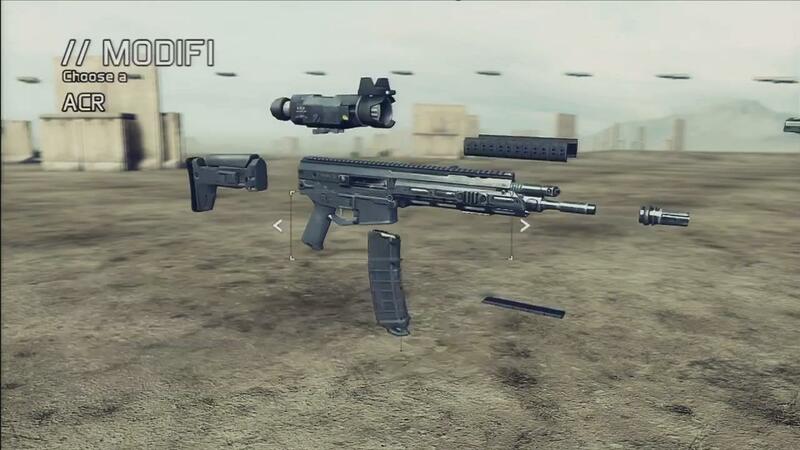 Future Soldier is a third-person shooter; unlike first-person shooters, the fact that you can’t see an enemy doesn’t mean that the enemy can’t see you. The cover swap feature exists to aid in the process advancing your position. It’s pretty simple, really. As you move the camera around while you’re in cover, you’ll see a blue circle appear in various cover-protected locations, based on where the camera is centered. Pressing and holding the A button (on an Xbox 360 controller) sends your avatar running straight to the highlighted destination. He can still be gunned down, cover swap tucks you into a fast-moving roadie run, which makes you that much tougher to hit. It’s not foolproof, but it’s tremendously helpful when you remember to make use of it.